China’s Canberra embassy reportedly issued a fierce threat over a story on one of the rising superpower’s controversial policies. FIVE days before 60 Minutes aired a program about China's quest for global dominance, the team received a furious phone call. "Take this down and take it to your leaders!" the voice on the other end was yelling. On the line was Ms Saxian Cao, the Head of Media Affairs at the Chinese Embassy in Canberra, and she was laying into the program's Executive Producer Kirsty Thomson. "You will listen! There must be no more misconduct in the future!" Ms Cao reportedly shouted into the phone. 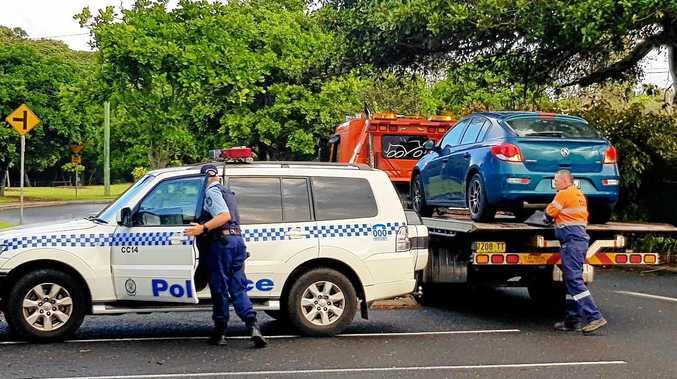 According to Nine News, Ms Cao accused the network of filming the exteriors of the Chinese Embassy in Vanuatu illegally - a claim Ms Thomson refuted. The report claimed the phone did not end amicably, with Ms Cao shouting: "You will not use that footage!" It highlighted the lengths to which the Chinese government will go to silence voices it doesn't agree with - even within Australia, amid an ongoing national debate over foreign interference laws. The offending 60 Minutes episode - which aired earlier this week - covered the ongoing issue of Chinese encroachment in the Pacific, including the country's Belt and Road Initiative, a Chinese-built wharf in Vanuatu, and the wider issue of foreign interference in Australia. Papua New Guinea will soon be the second country in the Pacific to sign on to China's Belt and Road Initiative. "When in China, we'll be signing the 'One Belt, One Road' initiative," PNG Prime Minister Peter O'Neill said earlier this week, according to local media. "That is a great potential for Papua New Guinea, which means that this will help integrate our own economy to the global economy … The rest of the world is making business with China and we cannot simply sit back and allow these opportunities to go by." "No one in the Vanuatu government has ever talked about a Chinese military base in Vanuatu of any sort," Foreign Minister Ralph Regenvanu said. "We are a non-aligned country. We are not interested in militarisation." The move prompted fears in Australia over Beijing's aims for greater military influence in the South Pacific region. 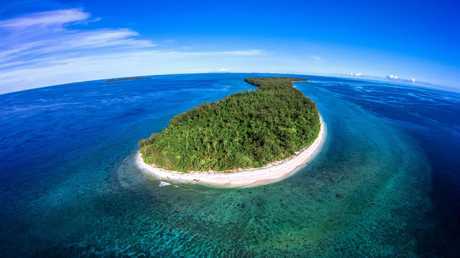 The Conflict Islands in Papua New Guinea. But Beijing's economic influence in Vanuatu remains undeniable, with China responsible for almost half of the island nation's foreign debt. There are now fears the same pattern will play out in Vanuatu where China has loaned the country $114 million to build a wharf at Luganville - the site of America's second largest base in the Pacific during World War II. China's debt-trap game goes something like this: they offer the honey of cheap infrastructure loans, then attack with default when these poorer economies aren't able to pay their interest down. 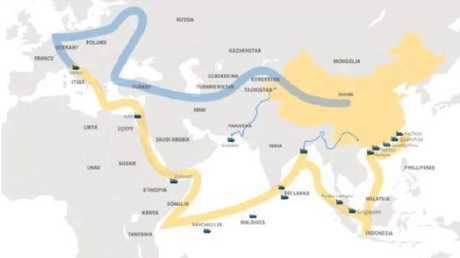 The ambitious plan involves creating a 6000km sea route connecting China to South East Asia, Oceania and North Africa (the "Road"), as well as through building railway and road infrastructure to connect China with Central and West Asia, the Middle East and Europe (the "Belt"). This map details China's Belt and Road Initiative. 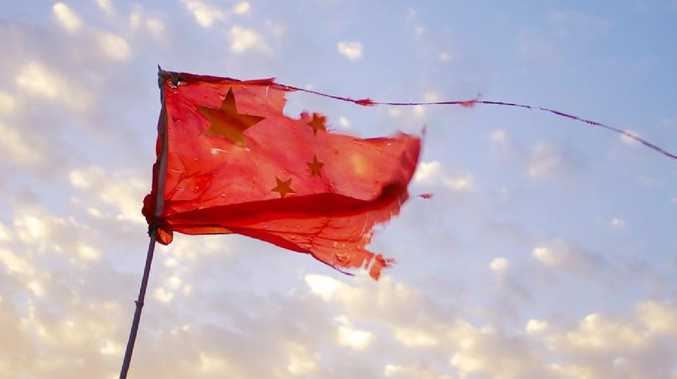 In a previous interview with news.com.au, Dr Malcolm Davis, senior analyst in defence strategy and capability at the Australian Strategic Policy Institute, said China is mainly targeting poorer countries and employing a "debt-trap strategy". "It gets countries - particularly poorer countries - hooked on debts they can't pay back," he said. "When they can't pay it back, China basically grabs ports, facilities or territory. It's a debt-trap strategy. "It services their need in terms of accessing resources, sustaining contacts and national development, and maintaining that 'China Dream'. It's really vital for the Communist Party to maintain prosperity if they want to maintain power." Why is the Pacific so important to China? From the rising superpower's perspective, Papua New Guinea, Vanuatu, the Solomon Islands and Fiji are the most crucial, as they have the most minerals and natural resources. But while the strategic aspects of China's interest in the region have been highlighted recently, experts believe they have been over-hyped. 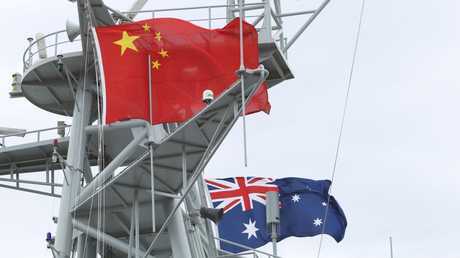 "I don't think (the region) is enormously important to China," Australian National University's Development Policy Centre deputy director Matthew Dornan told news.com.au. "The amounts of aid they provide are still not huge. Australia provides a lot more." "I don't think the Pacific tops its list in terms of strategic importance, even if it does for Australia," Dr Dornan said. Australia will no doubt be keeping an eye on China’s strategic moves in the Pacific region. While the Pacific may not be high on China's agenda, Australia appears to have woken up to the importance of the region to its own interests. Ms Bishop has denied that the trip was aimed at countering Chinese influence but in an interview with Fairfax Media, acknowledged that China's construction of roads, ports, airports and other infrastructure in the region had triggered concern that small Pacific nations may be saddled with unsustainable debts. "We want to be the natural partner of choice," Ms Bishop told Fairfax earlier this week. "We want to ensure that they retain their sovereignty, that they have sustainable economies and that they are not trapped into unsustainable debt outcomes. "The trap can then be a debt-for-equity swap and they have lost their sovereignty."